I know I should be sleeping, but I just had to make it. A cup of coffee to keep me awake. 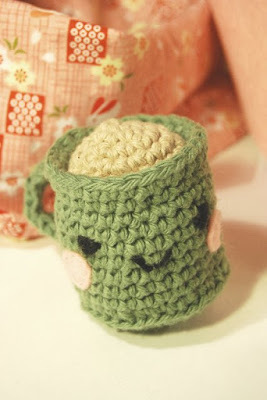 Pattern from Amigurumi World: Seriously Cute Crochet by Ana Rimoli. oh my goodness.. youre f-ing halarious! this is the best crochet piece that youve done to date!!! This thing is awesome! i cant believe you made it!